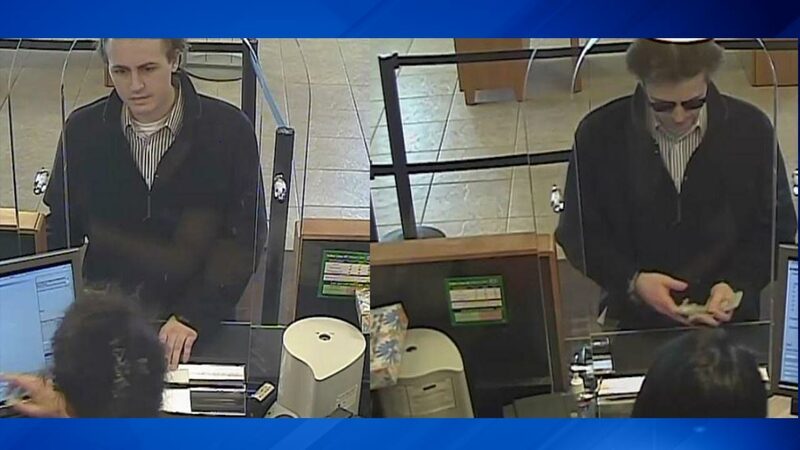 BUFFALO GROVE, Ill. (WLS) -- Buffalo Grove police have released surveillance images of a man suspected of robbing a bank Friday afternoon. The suspect entered the Chase Bank at 175 N. McHenry Road at about 4:55 p.m. Friday, police said. He gave the teller a demand note, implied he had a weapon and left with an undisclosed amount of money. Anyone with information is asked to contact the Buffalo Grove Police Department 847-459-2560 or the Chicago FBI Office at 312-421-6700.